The name Tin Can Bay conjures up many visions, but there were a lot more fish in the bay than tin cans! The township was originally known as Wallu, hence the school was opened in 1934 as Wallu State School. In 1937 the name was changed to Tin Can Bay and there are many theories as to how Tin Can Bay acquired its name. This seems a logical explanation and our school became known as Tin Can Bay State School. 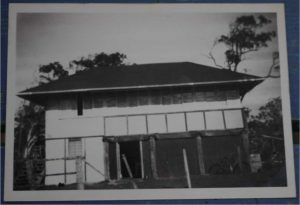 The original school building was removed from the old Wolvi State School and thus Wallu State School was ready for its intake of 28 students at the commencement of 1934. Now the “about 28 children that were running wild and receiving practically no education whatsoever” had a formal school with the late H.C. Court as the headteacher. The one-room-school building quickly became overcrowded and an additional room was required. In May 1937, the school building from Bells Bridge was re-erected at Tin Can Bay. The old building from Wolvi was no longer needed and was auctioned and sold to Mr W.J. Powell for 10 pound. 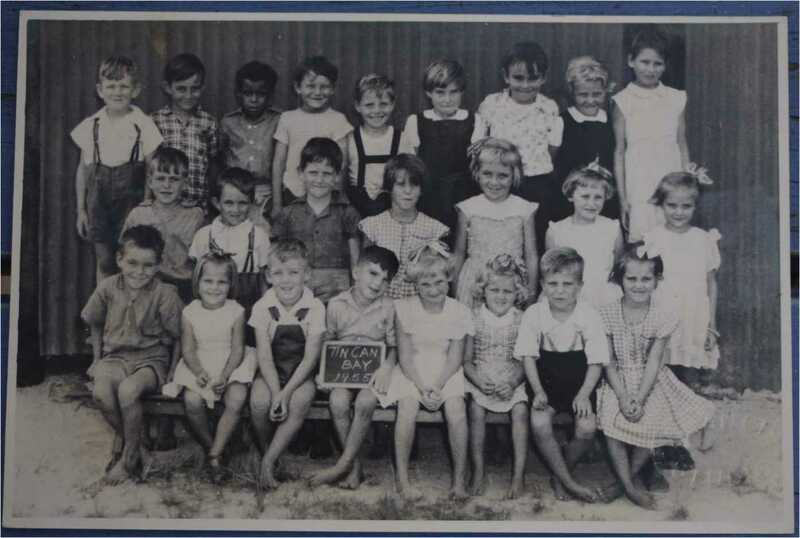 In 1951 an extra classroom was added to make room for the 52 children in attendance. Since that time, various committees were established and there was a push for a high school and a bigger area as the school outgrew its grounds. A lengthy formal submission was made to the Education Department in 1996 and the announcement came late in 1997, yes, we would have a new Prep-10 State School. This was the first Prep-10 school in Queensland to be purposely designed and built from the ground-up and it would be a ‘showcase’ school. We farewelled our old school at the end of 1998, after 64 years of operation. On October 13, Tin Can Bay school will celebrate their 20 year Back to Bay. This should be a great day but it can only be successful with the help of everyone. If you have plants or cuttings, bottles, arts and crafts, trash and treasure, recipes or other ideas please send them in to the school!